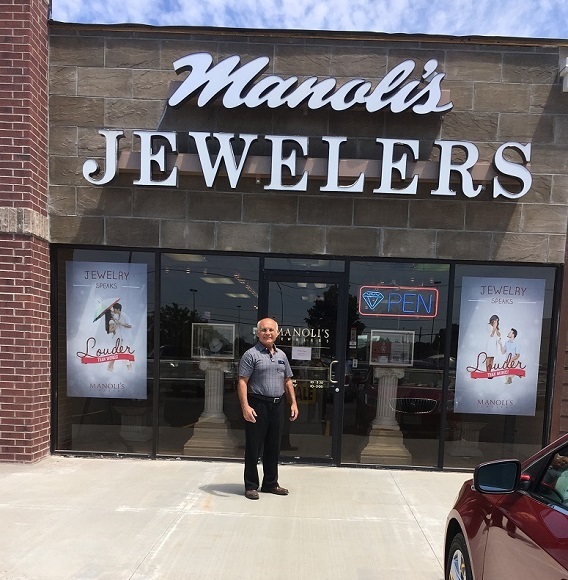 Our sign is up at Manoli’s Jewelers. We are still in the Brentwood North shopping center, and after 6 months of no sign and being in a construction cage, we are so happy to be visible again. Thank you for finding us during those six months. We hope you will come to us for all of your jewelry needs. We have a master goldsmith, a graduate gemologist and a cad designer to help you.